The 92-Kilogram satellite was part of Japan’s contribution to the International Magnetospheric Study, working in tandem with the EXOS A satellite that launched half a year prior and carried a similar suite of instruments. 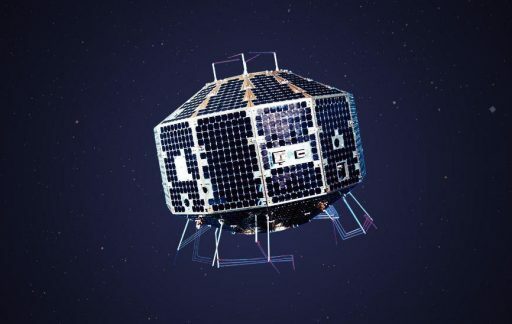 EXOS B, a 12-sided polyhedron 75 centimeters in diameter, deployed extendable dipole antennas 103 and 70 meters in length to support seven scientific instruments tasked with the measurement of plasma, electric and magnetic fields and energetic particle flux. This data was put into a large pool of multiple missions to enable simultaneous, multi-point measurements in Earth’s magnetosphere to conduct studies of processes ongoing on different spatial scales. EXOS B operated from a highly elliptical orbit of 230 x 30,600 Kilometers, 31° and remained functional through 1985. Without a propulsion system and a fairly low perigee, the satellite slowly spiraled down, gradually losing apogee altitude until eventually dipping into the dense atmosphere.